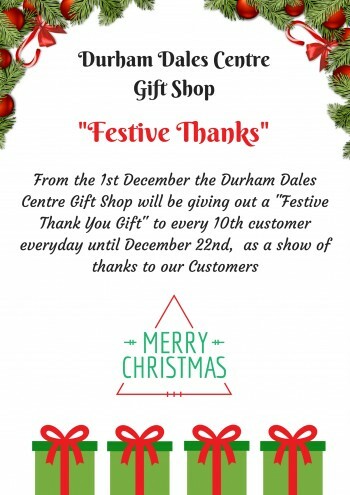 From the 1st December the Durham Dales Centre Gift Shop will be giving out a “Festive Thank You Gift” to every 10th customer everyday until December 22nd, as a show of thanks to our Customers. The gift shop is open from 10am – 4pm. The Durham Dales Centre is situated in Stanhope, Weardale in the heart of the North Pennines Area of Outstanding Natural Beauty (AONB).